9 blades stopping down to f/32. Mine came in Nikon F Metal Mount. f/2.8: A little soft with some coma chromatic aberration reducing some contrast and pretty soft in the corners. f/3.5: Sharpens up nicely with great contrast and a little soft in the corners. f/4: Sharper all over with great contrast. f/8: Sharp all over with great contrast. f/2.8: A little soft with some chromatic aberration reducing some contrast and pretty soft in the corners. f/2.8: Pretty soft with lots of chromatic aberration reducing contrast and pretty soft in the corners. 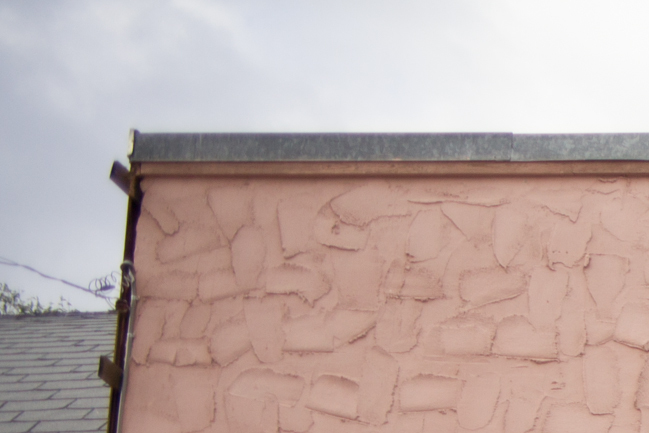 f/3.5: Still pretty soft with lots of chromatic aberration reducing contrast. 35mm: A little bit of vignetting at f/2.8 which quickly reduces at f/3.5 and almost gone by f/4. 50mm: A little bit of vignetting at f/2.8 and almost gone by f/3.5. 70mm: A little bit of vignetting at f/2.8 which is basically gone by f/3.5. 35mm: A bit of barrel distortion. 50mm: Very small amount of pincushion distortion. 70mm: A little bit more pincushion distortion but not too bad. 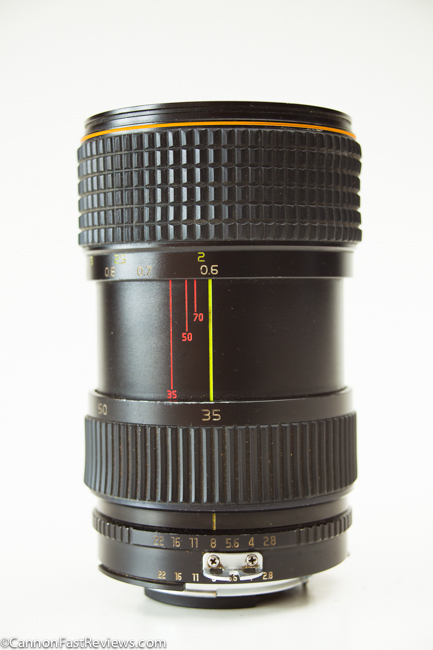 This is a great lens and a bargain of a price at most places. I prefer a wider lenses or longer focal lengths and don’t really use mid range zooms much but this is a fantastic lens for mid range use. 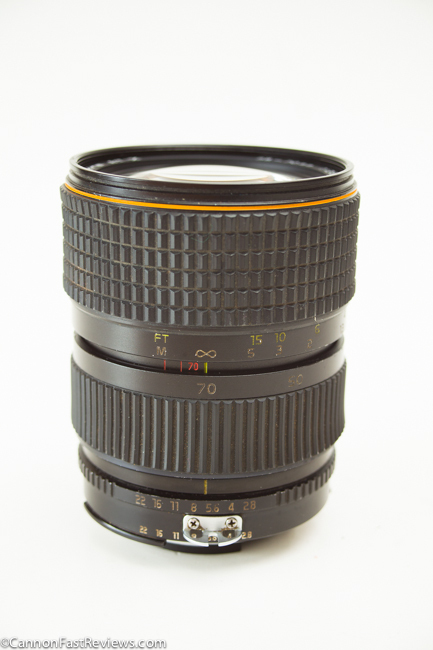 Mechanically this lens is a all metal well built heavy but not too small f/2.8 zoom. Older copies will wobble over time in the zoom and focus area but this doesn’t effect anything. Also the grip can get a little stretched out. Optically this lens is great even wide open but as you zoom to 70mm there can be a fair bit of spherical aberration wide open but just stopping the lens down to f/4 immediately sharpens up fast. 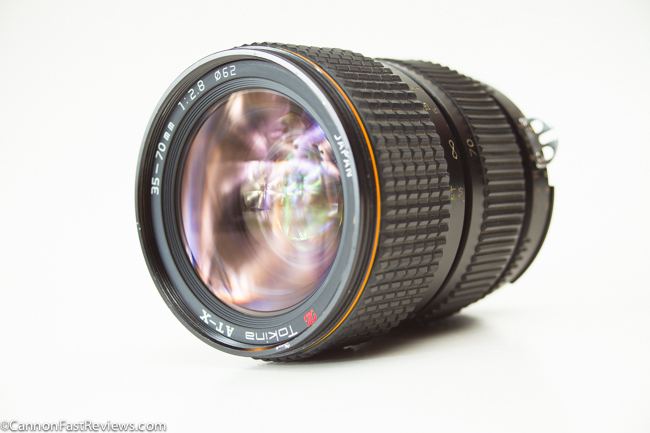 This lens is definitely worth looking for if you have use for a decent f/2.8 mid range zoom.